Last Thursday I felt my body ushering me into my threshold time. Threshold means at the edge. In this case, I use the word to mean being in-between two different ways of being. The other way is receptive, reflective, when our FSH-LH or follicle stimulating hormones and lutenizing hormones which stimulate ovulation have decreased, and the body prepares to shed away what it no longer needs. This time, the luteal phase, lasts roughly two weeks. It is meant to be more contemplative and inward, in line with the biological harmony of the body. Between the two is the threshold, a state of being that is only a day or two long but that, as a first-day of Spring, Equinox baby, is a power-time for my natural circadian cycle. 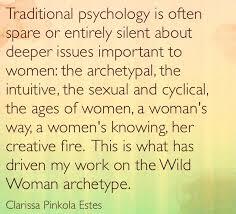 Knowing these unique parts of our personal biology is a part of wild women wisdom, the women’s mysteries passed down for centuries in sacred circle, lodges, and red tents. Working with Threshold energy is a special experience, for it’s not one way and not another. This means there is great momentum inside that space, a lot of contained energy with special messages inside. If we seek to be conscious of our own rhythms, and what the wisdom of our own deep messages from within are trying to say, it can be an incredibly intentive tool. Many women lose their stride when threshold hits. They move away from new projects, directions, or feelings of esteem or wholeness. Many women I work with suddenly, at this time, become totally weighted down with tasks, responsibilities and often, an unconscious drive to need to clean the house. Seriously! This is a societal program they have adopted in order to keep them away from the naturally reflective and inner house-cleaning that occurs during the luteal phase, or second half. I saw it in myself this past weekend…a crazed sense that there wasn’t enough time to get it all done. I recognized it as the time to slow down, allow, and go within. It takes daily attention to our soul work in order to see to it that we don’t fall in to programs, and derail our power, month after month, again and again. Kelly, you’ve explained these natural cycles in such away so we all can understand. Thank you, for helping us make sense of our rhythms.